You have to do what you love! I love being outside and creating unique outdoor spaces. 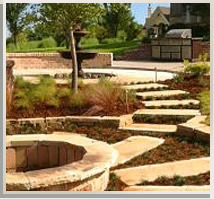 I had a lawn and landscape maintenance business while pursing my finance degree at UCO; that endeavor evolved into landscape design and installation. Through that I discovered that hardscaping is my passion. Anybody can have a holly in the landscape, but creating that perfect stone outcropping, that one of a kind water feature, or the ultimate pergola, are the elements that will set one landscape apart from another. 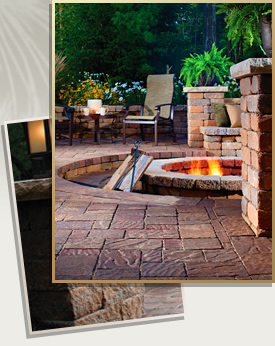 A landscape design should be "living", something that moves and evolves. I like to say "It's in pencil"; this gives us the artistic license to tweak an element on site if it's not producing the effect we want. I believe that having a synergy between the client, the crew and designer is how we create the final outcome. 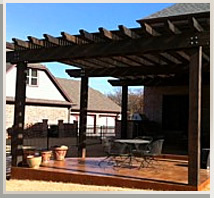 Seeing is believing, walk though our projects and let your imagination dream big. Here is where it all begins!! Great work Chad! We're very happy with the patio and fireplace and can't wait for the front flowerbed to be complete!